Ekiti State Governor, Ayodele Fayose, has begged all the monarchs in Yoruba land to defend former Lagos State Governor, Asiwaju Bola Tinubu, the former Secretary to the Government of the Federation, Chief Olu Falae, and other leaders of the Yoruba race. Fayose made this appeal while speaking in Ado Ekiti on Thursday when he received the Ooni of Ife, Oba Adeyeye Ogunwusi, at the palace of the Ewi of Ado Ekiti, Oba Rufus Adejugbe. Tinubu and President Muhammad Buhari are believed to be in cold war, while Falae is under investigation by the Economic and Financial Crimes Commission for allegedly receiving part of the missing security funds from a former National Security Adviser, Col. Sambo Dasuki (retd.). Fayose said, “You (Ooni) are in a good position to unite us. We want to appeal to you to remember that we all belong to you, irrespective of political parties. That was why I said without apologies that an action against Ahmed Tinubu is an action against the Yoruba nation. “We must defend the Yoruba nation. They are encroaching. They are harassing; they are depriving us of our legitimate rights. Those who toiled day and night are now victims of circumstances. 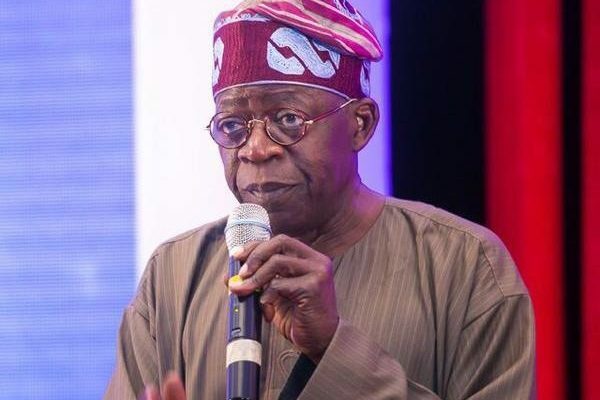 “Nothing must happen to Tinubu, Falae and others. This is the way they started with (Obafemi) Awolowo and (Pa Michael) Ajasin,” he cautioned. Fayose said the effort of the Ooni to unite the Yoruba had started yielding results, urging him to sustain it. He also condemned the activities of herdsmen that were destroying farm produce across the country. “They asked us to go back to farming and they released their cows to be eating our farms. Any cattle that destroy farmlands will be seized by the government,” he said.